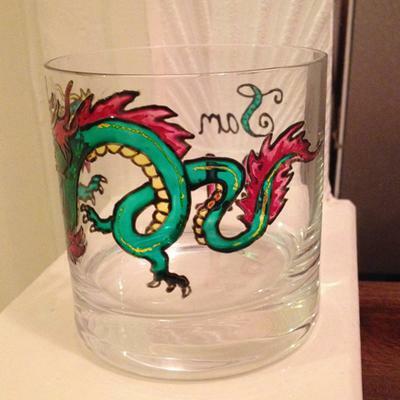 I've got into glass painting pretty recently, and am still improving glass by glass! 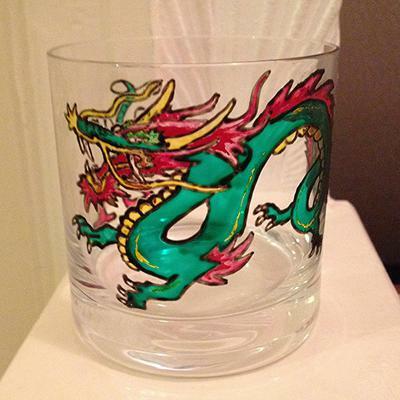 I use Marabu glasArt paints, they have both solid and translucent colours. I also use Marabu relief paste for the lines. What I have been doing is finding a picture I like then drawing it to the appropriate size to the glass I have then I stick it to the inside of the glass so I can go over it. 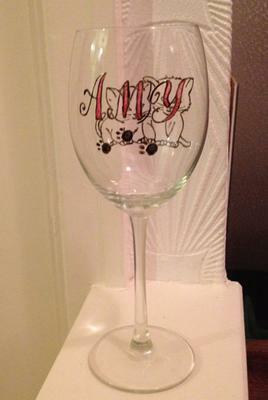 (on the wine glass the cats are on the other side, hard to get a good photo with pictures on both sides! Well done Mythic! Just a quick question...are the drawings something you've adapted from another drawing or is it a copy of someone else's work? If you are copying you will be in copyright violation and I will need to take the pictures down. Please let me know as soon as possible. Otherwise, nice work! I've edited them to get what I wanted, I guess the minions are drawn from the film though. So does that one need to come down?